Details can make or break a room; there isn't a professional team that knows this better than Vogue Window Fashion. This Bernardsville, New Jersey residence required special attention, especially in terms of finding just the right window treatments and accessories for the bedrooms. The home, already traditionally beautiful, featured a variety of classic furniture pieces that could not be outshined. 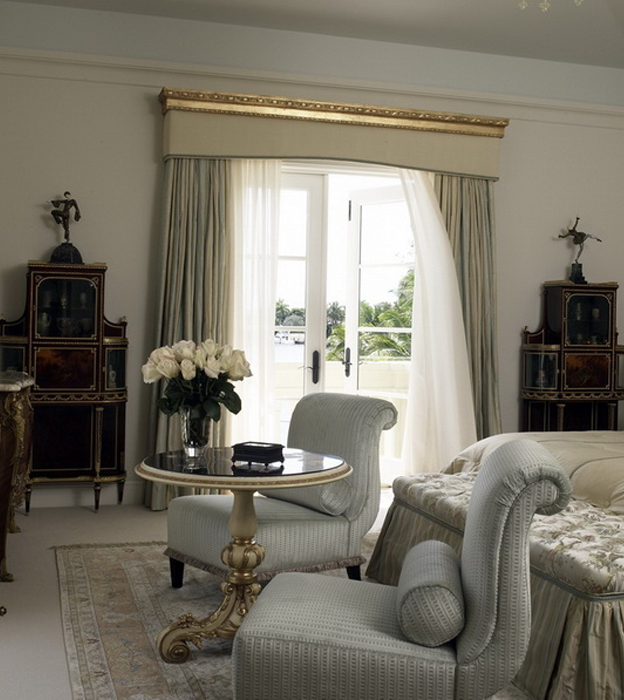 In order to keep the window treatments as supporting accents, Vogue employed neutral-colored drapes and sheers, and installed a gold-embellished cornice board to enhance the already classic features of the room.